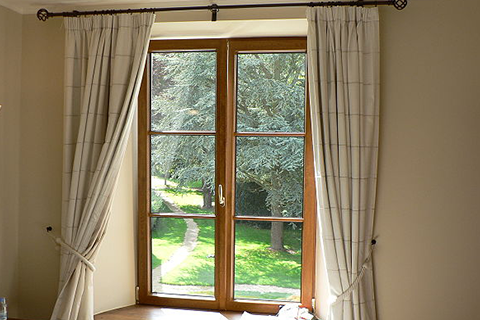 Your home's windows play a large role in your daily life, as their sizes and positions can affect light, ventilation, and temperature, as well as your comfort. If your windows are no longer shielding your home from noise or the elements, it may be time to consider window repair or replacement. Replacing or repairing windows can be an expensive production. Homeowners should consider not just the price of the window replacement parts, but also the potential costs of professional installation to ensure that your investment performs as promised. An investment in high-quality window replacement parts can complement or update a home's architecture and cut back monthly energy bills, creating excellent longterm savings. Before the 1970s, windows were usually made with what is known as “old-growth woods” that were highly resistant to moisture and deterioration. In the world of large-scale, heavily commercialized home construction, however, cheaper builder-grade windows may decay more quickly because their wood frames are more susceptible to moisture. To test your frame or sills for rot, you can try gently poking a screwdriver into them. The more the sill depresses, the more rot the wood has experienced. This is a sign that you may need window replacement parts like a new frame or a new sill. Often, homeowners consider adding specialized glass to their windows, as high-performance glass helps to reduce solar heat gain and heat loss, while also making the window sturdier. Other common window replacement parts include weatherstripping to window sills, sashes, and jambs. Homeowners should inspect the condition of their windows regularly, as the cost of repair or replacement can rise exponentially with the amount of damage done. All windows should be inspected annually to see if they need small repairs. Homeowners living in a home with 15 to 30-year-old windows should look for several more specific symptoms. If your windows are beginning to bow, bend, sag, or accumulate frost or condensation between panes, causing pockets of air infiltration reducing your window's energy efficiency, it may be a good idea to consider window replacement parts. According to the U.S. Department of Energy, inefficient windows account for as much as 25 percent of a home's energy bills. Window replacement parts such as thick panes and tight-fitting window sills and sashes can help to improve your home's overall efficiency. While these repairs can initially be expensive, energy efficient alterations will eventually pay for themselves, as they will dramatically lower energy bills. To counterbalance the costs of window replacement parts, homeowners also have the opportunity to capitalize on a federal tax credit offered for installing energy-efficient windows in your home. Homeowners can claim a credit worth 10% of the cost, up to $200, not including installation. From large and sweeping estates in the countryside, to sweet and simple homes in the suburbs, window replacement parts are key ingredients to any fully-functioning home. Maintaining your windows' efficiency with regular examination and repair can significantly lower your energy bills and help you create a more attractive home.